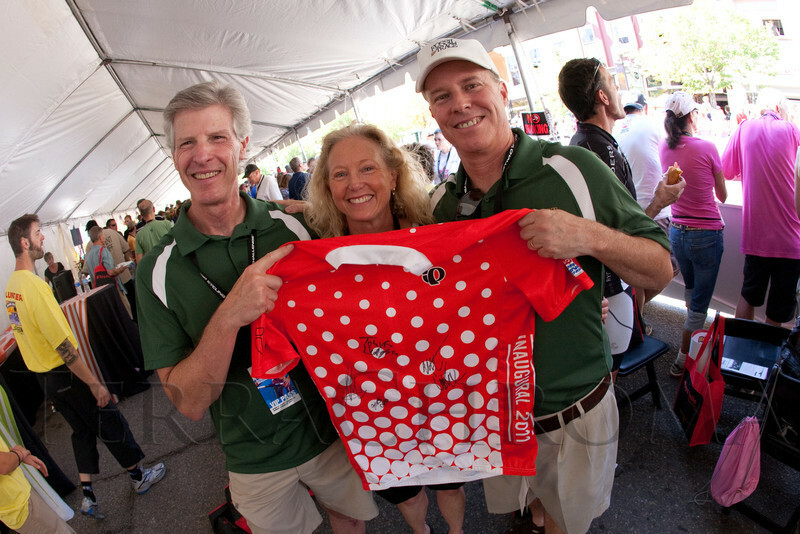 Ken and Andrea Cohen with Mark Pattridge holding a KOM jersey with a few autographs. Ken and Mark are with New West Physicians, the yellow jersey sponsor for the stage. The USA Pro Cycling Challenge, Stage 6, from Denver to Golden, Colorado, on Sunday, Aug. 28, 2011.